A true semi-permanent colour that delivers exceptional shine & vibrancy. 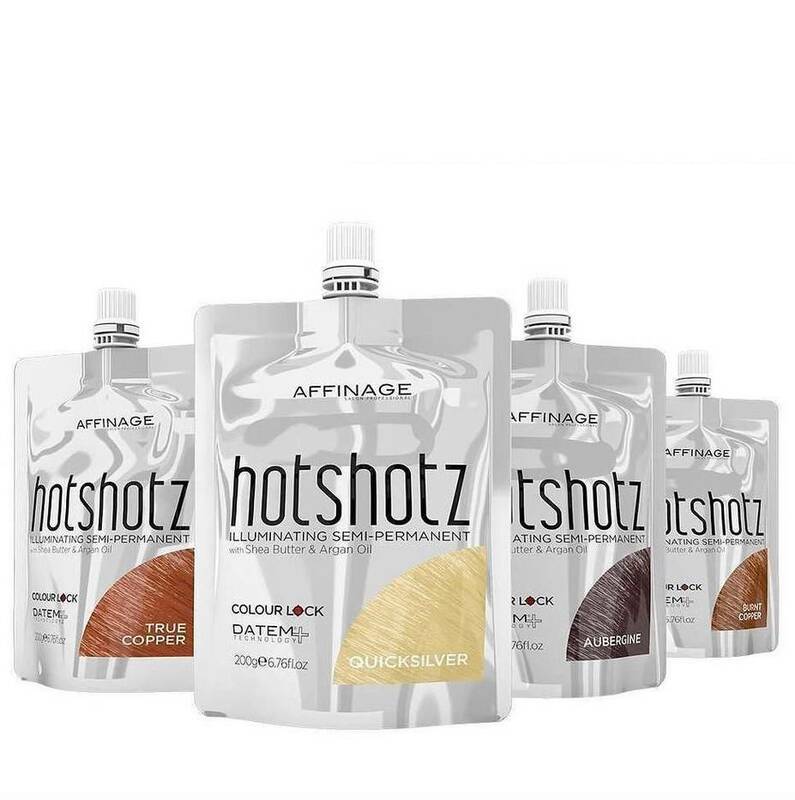 HotShotz is a true semi-permanent hair colour with 9 wonderful shades in an advanced creme base giving amazing light reflective colour with great condition, radiance and manageability. HotShotz illuminates and intensifies existing permanent or semi permanent hair colour and enhances natural hair colour in only 3 – 20 minutes. No peroxide, no ammonia and no mixing means HotShotz gently provides beautiful condition and colour. HotShotz is easy to use, leaves no significant re-growth and washes gently away – beautifully simple! HotShotz colour – your chance to shine! Shades include: quicksilver, sand blonde, burnt copper, red chilli, wild honey, hot chocolate, liquorice, ice chestnut & aubergine.